Road Tax: Changes that affect us all – HubNut – celebrating the average! For once, this Blog Post is not just for ‘car people.’ From 1st October 2014, there are major changes to Road Tax – or Vehicle Excise Duty as it is properly known. These changes affect everyone. Are you clued up? Even if you’ve no interest in cars other than a way to get around, you need to understand the changes. For a start, did you know that you must now tax a car at point of purchase? That means that you need to purchase road tax before you can drive away in your new car, or you face a substantial fine. The DVLA is manning its phoneline 24-hours a day, but this is still a palaver we motorists could do without. This ‘saving us from red tape’ the Conservatives keep harping on about is actually making life more difficult. Nice work! There’s progress for you. Goodbye tax disc. And tacky disc holder. So, when you buy your new car, even if it has a tax disc in the window (not required after October) and outstanding tax on it, you must purchase more road tax before you can drive it away. The DVLA phone number is 0300 790 6801. Thankfully, 0300 numbers are treated as geographical, so if you have free minutes on your mobile, you can call them free of charge. Alternatively, you can do it online or you’ll have to seek a Post Office. You must do this even if it’s a Historic Vehicle which qualifies for free road tax – incorrectly referred to as tax exempt. In reality, as the DVLA won’t be informed of the driver change immediately (and therefore the car will shop up as taxed if the previous owner is due a refund) I’d take the chance on it and drive home anyway, as the ANPR cameras will still flag the vehicle up as taxed if the seller had some remaining. Alternatively, we’ll find a lot more cars are sold with SORN. Makes sense. If you’re selling a car, declare it SORN and get a refund while you wait for the car to sell. The only potential problem here is that you won’t be able to let anyone have a test drive as it’ll be illegal to use that vehicle on the road without trade plates. If you’re buying a car which is SORN, then you have no alternative but to purchase tax immediately before you can drive the vehicle. If you’re selling a car, and it still has tax on it, you’ll get a refund when you send the V5 to the DVLA. It’s a major incentive to get that paperwork sent off ASAP! When selling a car, always make sure that it is YOU, the seller, who sends the V5 off. Never trust the buyer to do it – just give them the green slip that they need to tax the vehicle. 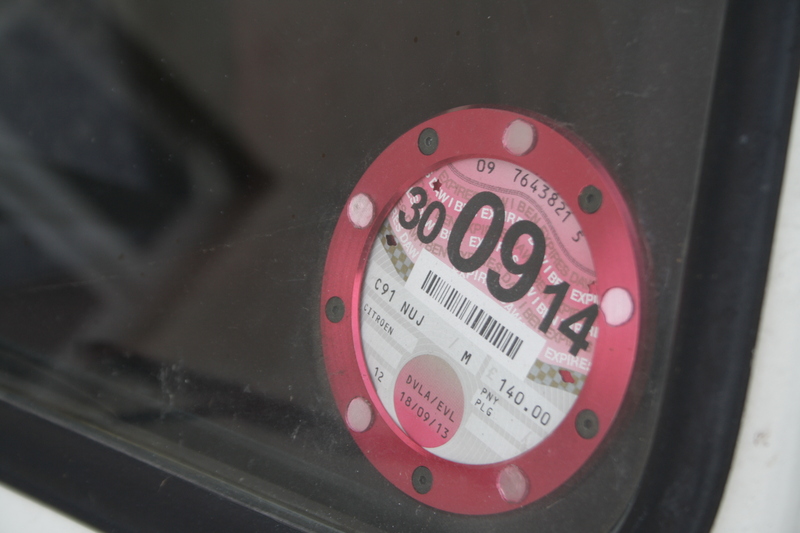 The one ‘benefit’ is that from 1st October, you will no longer have to display a tax disc. That’s because from 1st October, you won’t even be issued a tax disc. So, how do you check up on that dodgy-looking motor you’ve spotted? The revamped Vehicle Enquiry website may come in handy. It also tells you the MOT status, so snoopers can play away to their heart’s content. I suppose some might argue that being able to pay by direct debit is an advantage. I disagree. Ok, it might spread the cost, but more and more new cars pay such small rates of VED that it’s of negligible benefit. It would be a far bigger advantage if they just ditched VED altogether. After all, the cars I love most are the cars that get clobbered particularly hard. My 1992 Rover 416SLi, with catalyst, still pays slightly more road tax than a Band I post-2001 car – ie one that’s a bit of a fuel guzzler. Such as the ridiculously named Mercedes-Benz 400 AMG Sport Plus 7G-Tronic Plus 333 2dr Auto. Why does my older car have to pay the same tax as a 328bhp, £50,000 new car? Seems rather unfair. It’s not even a dirty car! Frankly, the sooner VED is ditched altogether, the better our lives will be. It’s an outdated system that’s very unfair. Is it still actually called VED? I taxed a car yesterday on the new ‘Beta’ site, and it’s called ‘TAX’ all the way through. Yup, called vehicle tax all through the websites, but officially it is still VED. Definitely no longer called Road Tax!